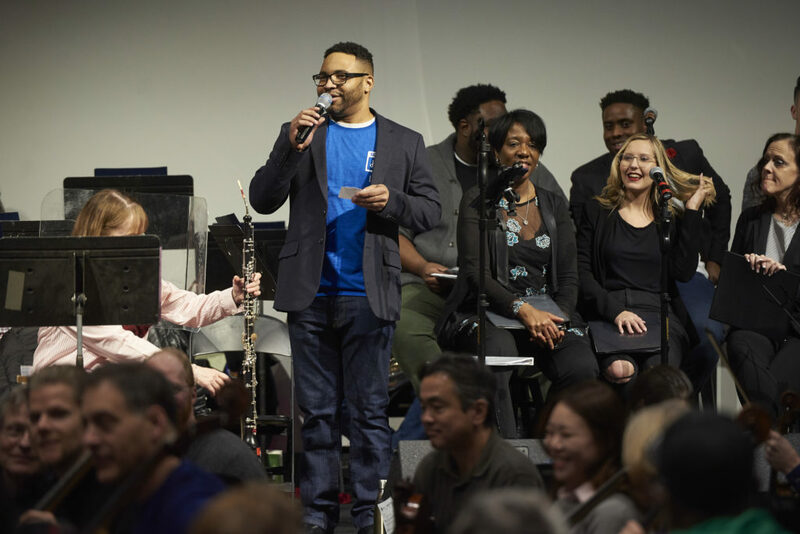 On January 22nd, 2019, the Minnesota Orchestra and Sanctuary Covenant Church hosted a community sing in North Minneapolis as part of the Minnesota Orchestra’s Common Chords program. Participants were treated to a meal, followed by a community sing-a-long accompanied by the Minnesota Orchestra. 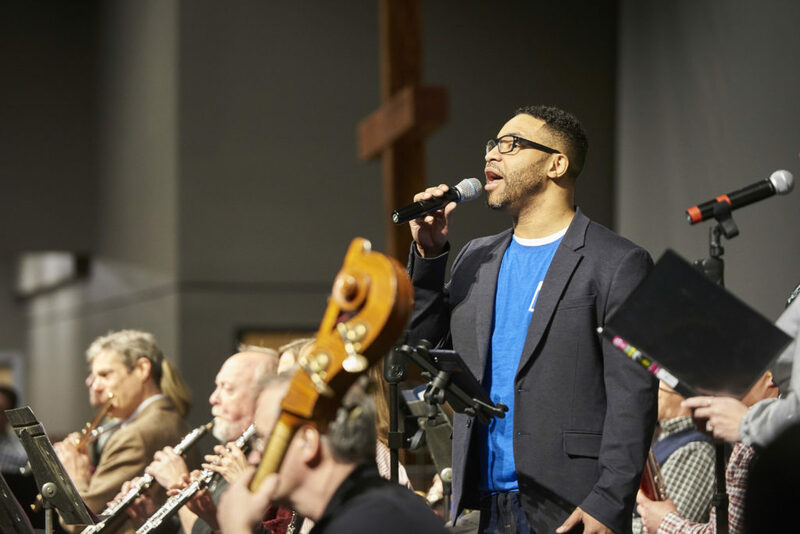 Former Minneapolis College Choir member and Minneapolis College alumnus Joseph Garnier, Director of Worship and Creative Arts at Sanctuary Covenant, along with the Sanctuary Covenant Choir, led the audience in singing everything from Gospel to show tunes. Several Minneapolis College members participated in this event. The video below shows a few clips from the evening. You’ll see us at @ 1’54”. 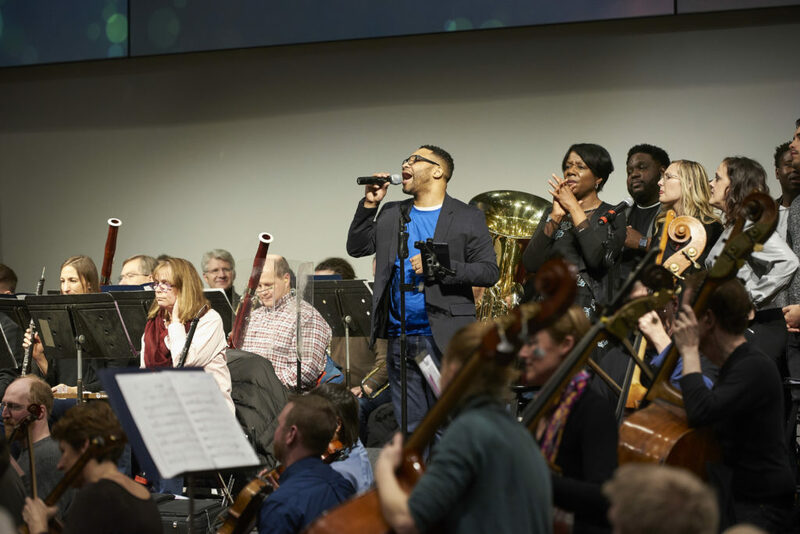 Minneapolis, MN JANUARY 22: The Minnesota Orchestra performs at Sanctuary Covenant Church for the Common Chords sing along, on January 22, 2019 in Minneapolis, Minnesota. Photo Credits: All images by Tony Nelson, courtesy of the Minnesota Orchestra.